Since its inception in 1974, World Environment Day falls on the 5th of June every year, and it has grown into one of the largest global platforms for public outreach, celebrated in well over 100 countries. SLYCAN Trust conducted a Motivational Session on Health on the 28th of November at the #Youth4Youth symposium organized by the United Nations Population Fund (UNFPA). The 4-day Youth4 Youth symposium held in Anuradhapura created a platform for youth participants from the Northern and North Western Provinces to engage with the public and private sector networks in order to promote youth participation in decision making and to build sustainable communities. The audience comprising of more than 100 youth participants equally represented both male and females. “Going vegan is the least and the best we can all do for ourselves, for others and for the planet! It is the future!” ~Sue Iruge. 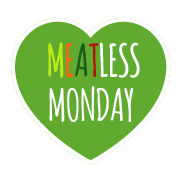 Sue Iruge who is a long-time vegan is the winner of our Meatless Monday social media competition held on the 9th of June,2017. She spoke to us on why she became a vegan, and why she thinks that it is important not to consume meat based products.